Thank you for visiting our new Internet site. As an up-to-date business, we want to give you the opportunity to stay in touch with our company and what it has to offer. 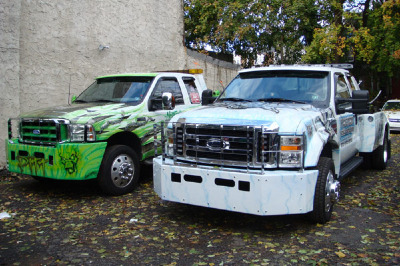 norton's tow squad is a well established and well known towing corporation in the Philadelphia area. we have been in business for over 20 years serving Philadelphia with quality, curtious and well trained employees. some say we are by far the best towing company in Philadelphia. we have heavy, medium and lightduty wreckers and flatbeds to service all your towing needs. please call us today @ 215-842-3233. we are exspecially known for our relocation services.